These classes covers the main aspects of aikido. The full range of aikido techniques and attacks are studied. Weapons training may also be introduced on occasion. 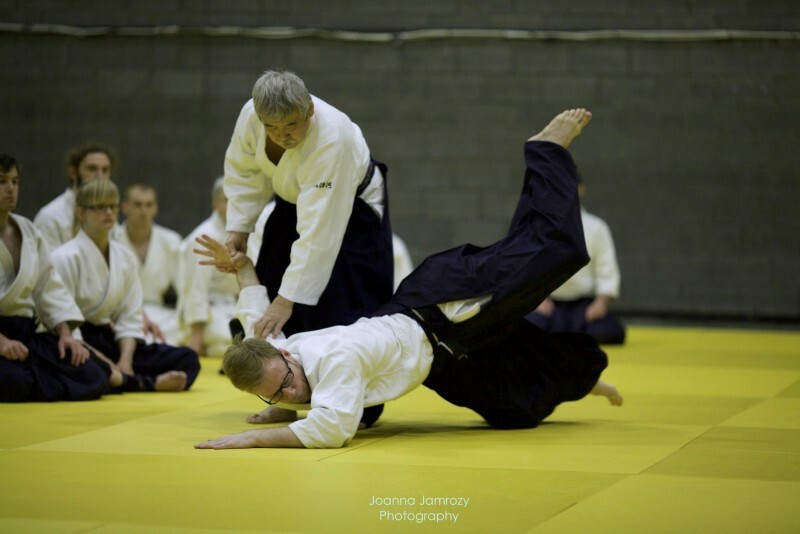 These classes cover the weapons work practised at the Edinburgh Aikido Club. Bokken, Jo and Tanto are studied. Kata (kumitachi, kumijo and ken tai jo) and disarming techniques are practised. These classes cover the basic movements and techniques of aikido including ukemi (falling) and shikko (knee-walking), covering the core principles of aikido. This class is the best introduction to aikido for beginners. This class takes place on the first or second Friday of each month and is focused on dynamic training. See the club calendar for specific dates.